I can’t believe (well, yes I can) that my 30 book reviews planned for the holiday season stopped at 23. Life and laziness intervened, but I’m back at it this week with some new and old books – and, with any luck, we’ll hit 30 by spring. 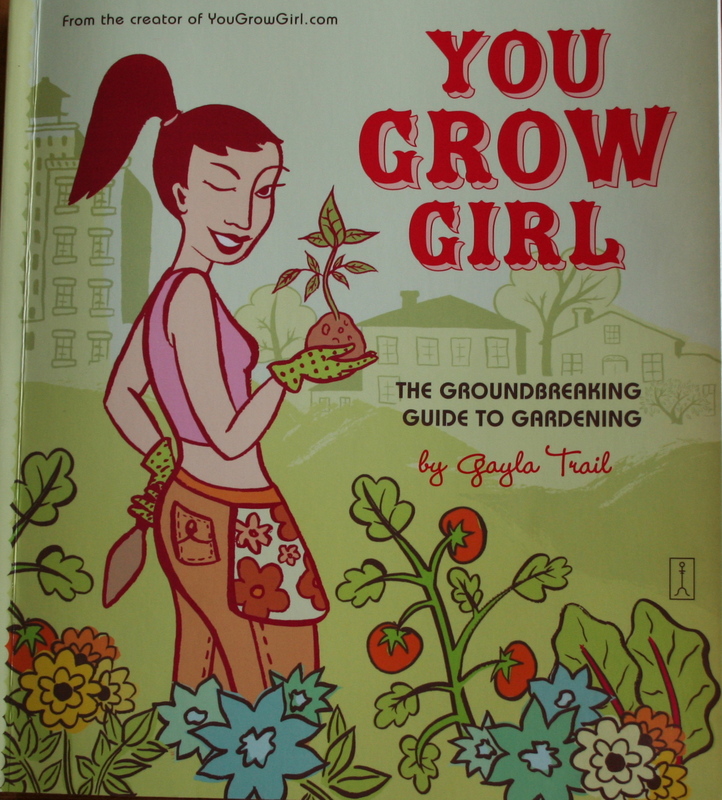 Today’s book is You Grow Girl: The Groundbreaking Guide to Gardening by Gayla Trail, one of the first blog-to-book publications. In 2000, Trail – a stalwart Canadian, so she has northern gardener credentials – started a website called YouGrowGirl.com. It’s still a lively site for folks with an interest in small space and food gardening. Since the publication of You Grow Girl in 2005, Trail has written two other books. Grow Great Grub on small space food gardening and the soon-to-be released Easy Growing on growing herbs and flowers in small spaces. You Grow Girl has a fun, cool vibe. It covers a lot of the basics of gardening: choosing a space, deciding what to grow, how to deal with poor soil. But what distinguishes it from other basic garden manuals, other than its hip tone, are the projects. Trail tells readers how to make a simple planter box, a wire cloche to protect plants, tea bags for herbal teas, seed packets and a succulent container among many others. All of the projects are well-illustrated and easy to follow. She lets readers know how difficult the project is, and truthfully, none of them are that hard. 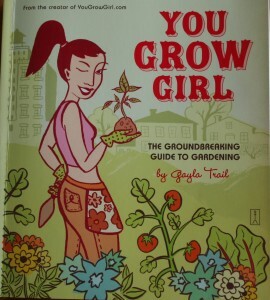 There isn’t a lot in You Grow Girl that is new but it is loads of fun to look at and, if I knew a young woman who had an interest in gardening, I would give her this book. It would provide a good start in the garden and lots of crafty fun to boot.